Poland wants to set a new deadline for the construction of their Euro 2012 stadiums, Sports Minister Elzbieta Jakubiak said on Monday. Since Poland won the right in April to co-host the event with Ukraine, early euphoria has been replaced by growing concerns it may not prepare new grounds and upgrade inadequate infrastructure in time. European soccer’s governing body UEFA says the tournament co-hosts must build the necessary stadiums by mid-2010. “We need additional time and the year 2011 will be the most suitable,” Jakubiak told a news conference. The surprising choice of Poland and Ukraine as co-hosts ahead of Italy was originally touted by the Polish government as an opportunity to put the country on the international soccer map. But a growing number of critics say Poland might have taken on a near-impossible task. “Beside the announcement, nothing has been done so far,” said Zbigniew Chlebowski, deputy head of the parliamentary finance committee and a member of the opposition Civic Platform party. 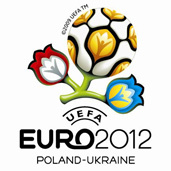 Poland is estimated to need about three billion zlotys ($1.09 billion) to build or restructure four main Euro 2012 stadiums. The planned national stadium in the capital Warsaw has proved the biggest headache. The new ground is to be built at a dilapidated communist-era stadium now being used as Europe’s largest outdoor market, with Jakubiak saying hundreds of traders will be asked to leave by mid-September. Polish authorities have not decided whether the old stadium will be razed or if a new facility will be built next to the old one to save time. The transport ministry also estimates it will need 164 billion zlotys to build 2,400-km (1,500-miles) of motorway to prepare for the tournament. Only six kilometres of motorway was built last year and none so far this year.